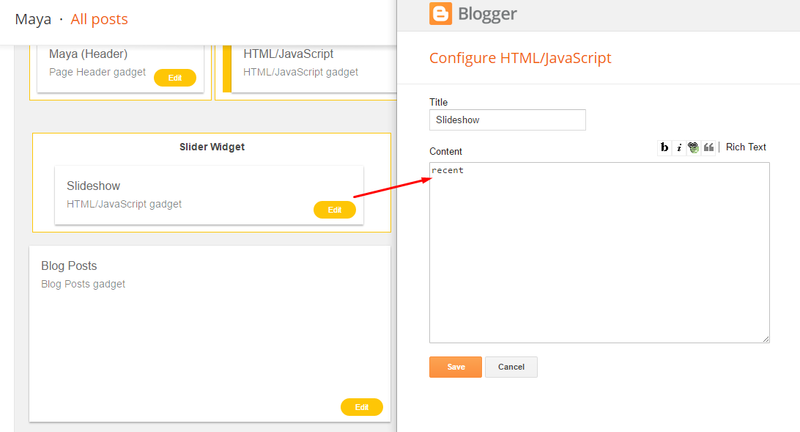 Go to Layout > Slider Widget and type "recent". 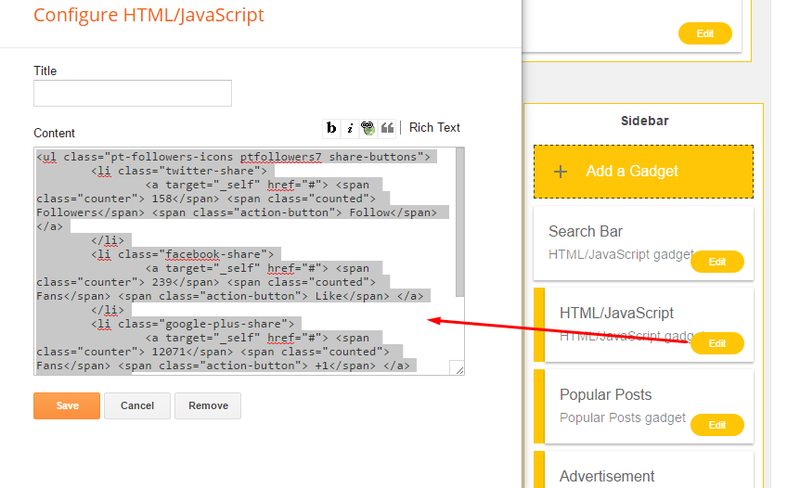 If you want to show any specific label's post, then type any label name. Open second widget from Layout right sidebar and past below codes. 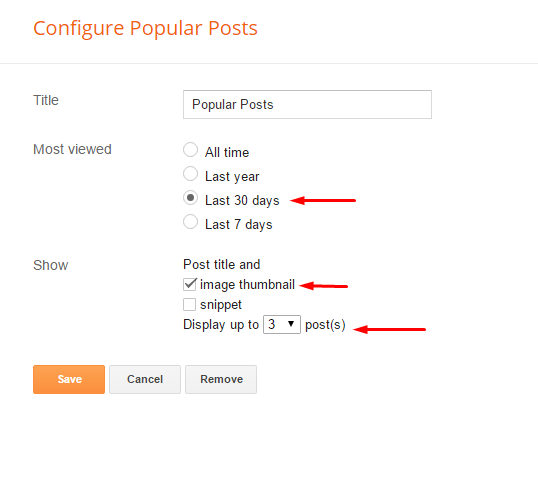 Customize popular posts widget with below screenshot for better result. To change whole template setting with one click, go to Template > Customize > Advanced and change template fonts and color with one click. PS: Fonts advanced option pro features only.